One of Virginia’s most stunning areas brings visitors and residents from all over the country. Known as the “Tahoe of the East” and the “Jewel of the Blue Ridge Mountains,” Smith Mountain Lake is a true Virginia treasure. With over 500 miles of shoreline and 20,000 acres of stunningly blue water, Smith Mountain Lake offers plenty of recreational activities on and off the water. From boating and skiing to nature walks and historical tours, the lake has a lot of appeal for all kinds of outdoor enthusiasts! Most of the communities have private access docks giving residents and their guests a convenient entrée to the lake. If golfing is your game, consider visiting the public and private golf courses available in the Smith Mountain Lake area: Westlake Golf & Country Club, The Water’s Edge Country Club, Mariners Landing, Sycamore Ridge and of course The Waterford Country Club. 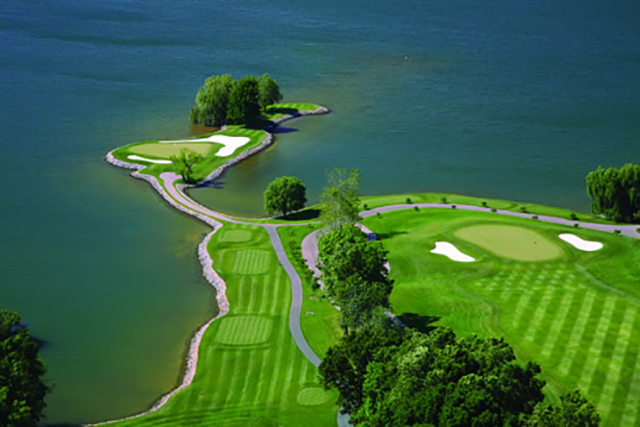 Many of the communities at Smith Mountain Lake offer opportunities to join a country club. The Waterford Country Club is a private club, home to an 18-hole, PGA championship golf course designed by George Dillon. This course offers a challenge to those golfers looking to improve their game yet is still playable for those newer to the game. After 18 holes, enter the 22,000 square foot clubhouse to relax. The clubhouse features a fitness center, pro shop, men’s locker room and a bar room lounge. Did I mention the club has some of the finest dining in the area? Westlake Golf & Country is Smith Mountain Lake’s premier public golf course. With nearly 100 course designs under his belt, Virginia native and golf course designer Russell Breeden has added his unique touch to the development of this course. Westlake Golf & Country prides itself on delivering a course that is challenging to players of all levels. Complete with a pro shop and restaurant, Westlake Golf & Country is sure to provide you with a fun-filled afternoon in Virginia’s hidden gem! I hope you will come and visit Smith Mountain Lake and see why I have called this incredible place my home for over 20 years. Let my years of experience in real estate and my dedication to your needs give you that edge in your quest to find the perfect home. Give me a call today!